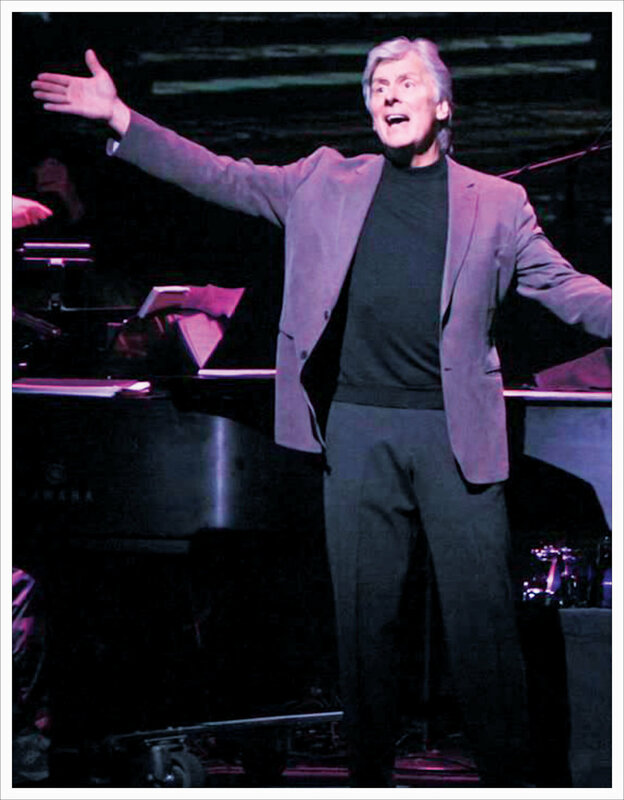 Kurt Peterson, a renowned Broadway musical theatre star and producer, comes to Columbus to accept the Columbus State University Lifetime Achievement Award in dance during the 3rd annual Broadway Ball. Peterson got his start playing Tony in the Bernstein and Rodgers revival of West Side Story alongside Columbus, Georgia hometown star Victoria Mallory. Now, his company, James Williams Productions, produces theatre performances all around the country, including the premiere of his latest work, Proud Ladies, which debuted at The Springer Opera House in August. Kurt Peterson began his Broadway career when Leonard Bernstein and Richard Rodgers chose him to play Tony in the revival of West Side Story at Lincoln Center. 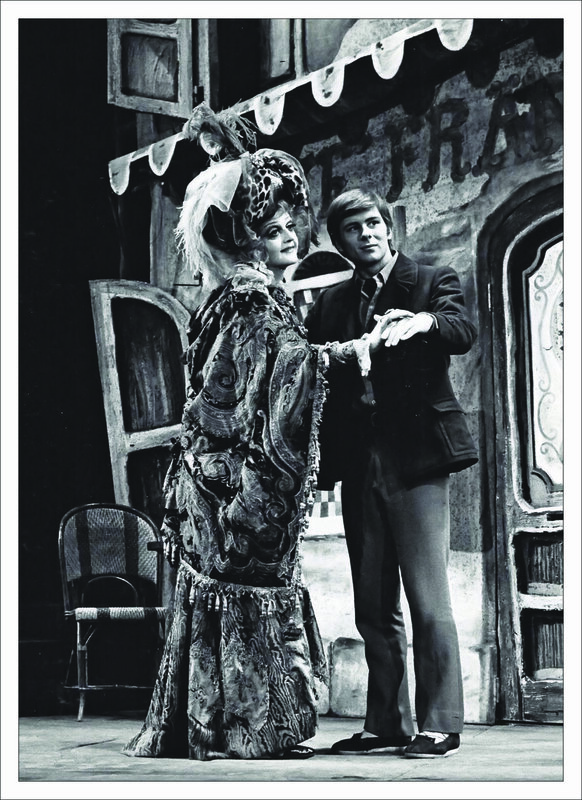 He then starred opposite Angela Lansbury in Dear World and created the role of Young Ben in Stephen Sondheim’s Follies. On his interview with SVM, Kurt talks about how he started in show business, her working relationship with Victoria Malloy of Columbus and his planned visit to the 3rd. Annual Broadway Ball on November 30th. You launched your Broadway career in New York City playing Tony from West Side Story, and now you have your very own production company – James Williams Productions; what can you say about that journey? What was it like starting out? It all started with my first musical, Finian’s Rainbow. I was a little kid in Stevens Point, Wisconsin, and I went to see this performance called Finian’s Rainbow at the local theatre, and It was just transformative. I’ve heard this from some many other performers, that if you have that gene in you and you go see a show, it clicks. And something clicked in me, and I knew I wanted to be a part of it. I think I was painting scenery sets the next day. Starting out, I didn’t really know if I had any talent, and I remember going down into my basement and putting on some old show albums and dancing and singing. I guess I worked up some courage because soon after, I auditioned for the high school musical, The Boyfriend. I got the part and did the Charleston as Bobby Van Heusen, and that was my first role.At that point, there weren’t a lot of musical theatre schools around the country, and you had to go to New York if you wanted that option. Well, I was working this show later on and, this performer from New York had a role in the musical, and I remember he had this brochure for the AMDA, which is the American Musical and Dramatic Academy, and he gave me that brochure. I kept it, and a year later while I was on a school trip to New York, I snuck off and grabbed a cab ride to the AMDA and went inside.I remember people singing, and I just sat there for as long as I could, taking it all in. It was incredible. I took a summer course there shortly after, and I told my father not to worry because I would still be going to the University of Wisconsin to study chemical engineering, but you know I didn’t. I went back to AMDA, and that led to West Side Story, and meeting Victoria Mallory, of course. West Side in New York was a big break for two unknown kids from Stevens Point, Wisconsin and Columbus, Georgia. I was really working with the theatre giants. Speaking of giants, you’re most recent production, Proud Ladies, featured some musical legends at the premiere in the Springer Opera House this August. You used multimedia to bring these performers back to life. What inspired this? So, back in 2014, Vicki and I did a performance at the Rivercenter called Concert with Comments, which was really a book musical based off the story of our lives. The whole back of the stage was covered with pictures I had collected throughout the years, which kind of told mine and Vicki’s story. With Proud Ladies, the concept was the same, but I thought, if we are going to tell the story of these ladies, why not have them appear on stage again. And how great was that… having Vicki on stage again. And The Springer was really tremendous in helping us put the show together, and they gave us a week of technical support that was really invaluable. And it was wonderful to share, in a way, the stage again with Vicki. How did the show go? The show went very well, and the audience was wonderful. Each story in the show has this resonance and an important lesson, and there was this great universality because the lessons I was taught by these ladies were lessons that I could share with the audience. In the best memoir pieces, the audience feels that it’s pretty much about them. If I can get that feeling over to the audience, then I know I’ve done what I was supposed to do. I think we were really able to do that. My stories triggered stories in the audience about the great teachers, and angels, and lovers, and important figures in their lives. Speaking of memoir, your longtime friend and stage partner, Victoria Mallory, was a hometown star in Columbus. What was it like working with Victoria? You know, we just recently celebrated the fourth anniversary of her passing, and I started getting these letters about Vicki. I have this box that’s filled with letters about how Vicki impacted these people’s lives, about how she was one of the most sweetest, endearing, and generous, and beautiful women they had ever met. So working with her was the exact same thing. It was an absolute joy. I was always so enamored with her because of her talent. She was playing piano at two, singing at three, and dancing at four, and she had this incredible confidence about herself that was such an inspiration for me. When we were able to reconnect during our performance at the Rivercenter in Columbus in 2014, well that was just an absolute joy. The Columbus State University theatre department has invited you to the 3rd Annual Broadway Ball on November 30th. How did you come to be involved with this event? When plans were being made for Proud Ladies, Patty Taylor, who is sort of championing the dance program at CSU, saw I was coming and wrote a letter to me asking if I would be honored at the event. Patty danced with Vicki as a kid, so there was that connection also. Of course, I immediately said yes. I guess it was just part of that connection I feel with Columbus, with the Springer, and with the Rivercenter. And now, I will have a connection with Columbus State University –I’ll get to have a connection with those students. I remember the summer of 1966 with Vicki, and I think about how, at a young age, we were so in love with the art, and it just does my heart a lot of good. I really want a chance to talk with these students and give them some hope and inspiration. Your production company has the Voice Studio, which has been a musical home for many talented students and teachers throughout the years. What impact do you feel the studio has had for people? The studio was originally and off-shute from the work I did with one of my great teachers, Paul Gavert. In the 70’s, all of Broadway began to study with Paul. I began teaching with Paul in 1975. When Paul passed away, I had this idea that I wanted to make a home for other teachers as well, and so then the studio expanded, and now we have people all the way at the top and people who just stepped off the bus.There’s this incredible energy. Now, we have 13 studios, 25 teachers, and over 300 students. And the teachers are all from specialties in different areas of performance. It has just got his life of its own, and it keeps growing. Of course, there is also the economic advantage, because, as you know, producing doesn't always produce, and not everybody makes a fortune in the theatres. Maybe they need some inspiration to go see a show. Why theatre? What might you say is the most important aspect of theatre and stage performance? Why theatre? Well I guess there’s two ways of looking at it: there’s the aspect of performing in the theatre and being a part of it, and then there’s the aspect of being an audience member and viewing it as a fan.From the performing and producing aspect, it’s about being alive. And you’re never more alive than when your on stage and focused, and you’re never more alive than when you’re in the creative process of making something beautiful and important for the theatre and speaking with a voice. On the other side, as an audience member, I think it’s the same thing. As an audience member being connected to what's happening on stage, you feel more fully alive. It allows you to experience those emotions. The theatre gives you that. It gives you stories. You know, we’re all built to love stories in our conscious and unconscious life. So I think it's a wonderful dance between the man in the cave telling the story and the people sitting around the fire listening to the story. So what story are you telling around the campfire next? What’s coming down the pipe? Well, you know, Proud Ladies has been keeping me pretty occupied at the moment, but there is another thing that I’ve been working on. About ten years ago, Vicki and I started working on a book musical, and we had to put it on the shelf when we did our concert, but there’s a brand new musical I’m working on called Dancing on the Moon, which is based on our story. It goes a lot deeper than our concert did. It’s a six character performance. We’ve done some readings on it, and now we’re gonna try and get it out next year on the stage. Since its inception, Steeplechase has maintained its position as one of the largest and highest-earning fundraisers in the area and has raised more than 4 million dollars since 1985. Drawing crowds of more than 10,000 attendees annually, the event provides a uniquely Southern race day experience and is steeped in tradition, class, and fun. Yes, it that time of year once again, and the decades-old tradition that is Steeplechase is finally here. For the thirty-fourth year in a row, this equestrian race day fundraiser is expected to draw in thousands of people who are eager and willing to get that Southern culture kick. Steeplechase is a challenging feat in terms of logistics, and behind the wheel of all that coordination is Steeplechase Race Director Michelle Blanchard. SVM spoke with Michelle about the details of the job and what racegoers might expect from this year’s event. She shared that there will be old traditions, as well as some opportunities to create new ones. One thing’s for sure... whether it’s sporting your most extravagant hat, breaking in your new pair of boots, kicking back with friends to watch the race, or collecting the big purse, there is something for everyone at this multifaceted event. Front gates open for ticket holders at 10 a.m. on the first Saturday of November. Race director is such a unique opportunity.Where did you find the inspiration to take on such an esteemed role? Serving as the race director has been a terrific opportunity for me, and I have thoroughly enjoyed it. It was presented to me as a fun-filled, low-stress volunteer position, and that is exactly what it has been thus far. I am honored to have been asked and thankful I said yes! What are your big plans for Steeplechase this year? In other words, what can this year’s racegoers anticipate or look forward to that might be different from previous year’s races? We have lots of big plans for Steeplechase 2018. 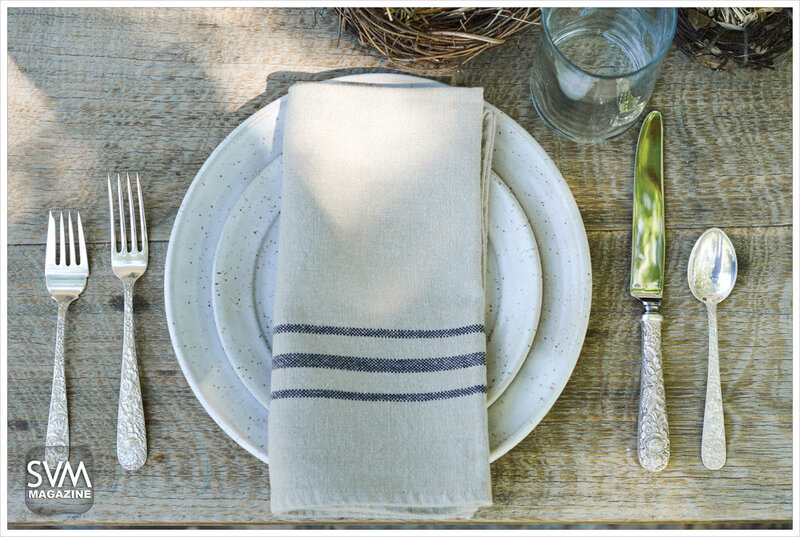 New this year is our partnership with Southern Living, and we are thrilled! They will host a wonderful party on friday night at The Lodge and Spa at Callaway that you do not want to miss. Elizabeth Heiskell, a.k.a. The Debutante Farmer, will be there for the debut of the new and improved best selling 1972 cookbook. 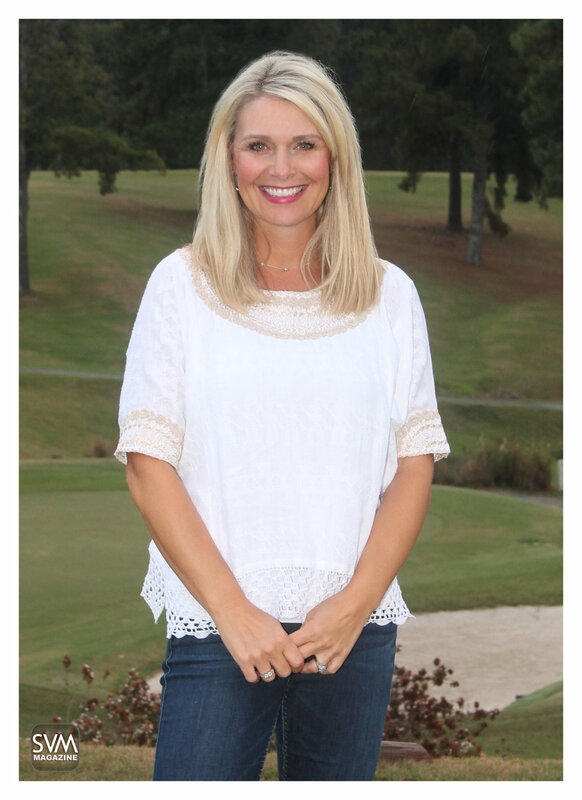 On race day, Sid Evans, editor of Southern Living, will be there serving as a judge for the hat contest. Also new this year is the Liberty Utilities Hunt Club. This is a great, all-inclusive area that provides a casual V.I.P. experience for attendees. Admission tickets are $150 each, and the perks include a catered lunch, wine and beer, and live music by Neal Lucas. We also added a new, exclusive caterer in Callaway Gardens. Country’s, EPI© and It’s Your Day catering will be back again this year as well. These great additions will certainly add to the success of the Steeplechase. Steeplechase is known for its traditions. What are some of your favorite traditions about Steeplechase, and why? I love seeing families and friends come together and enjoy a beautiful day. I adore seeing the children running around and enjoying the Kids Corral and the Jack Russell Terrier race. I always love visiting the Vendor Village and seeing all of the beautiful items. I do love a good hat, so of course I love seeing all of the creative hats in the hat contest! These traditions really bring our community together as one, and that is truly a gift that not every community can claim. In your words, how does Steeplechase embody the culture of the South? The Steeplechase embodies the culture of the South in every way possible –it screams Southern culture! As Southerners, we love to gather and visit with family and friends while sharing a meal, all the while enjoying some sort of sporting event. The Steeplechase offers all of that and more. It truly is a perfect Southern day! Steeplechase is a great benefit to entities in the South. How can those entities expect to benefit from this year’s event? 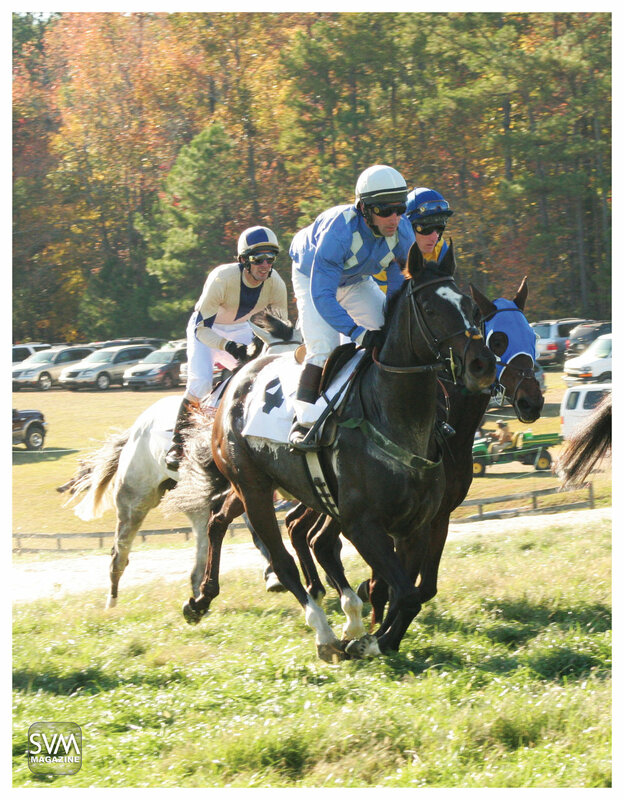 The Steeplechase has been racing for the arts since 1985. Since that time, over $4 million has been donated to six fantastic beneficiaries that all enhance our community. The beneficiaries include RiverCenter for the Performing Arts, Columbus Museum, Columbus Symphony Orchestra, Springer Opera House, Historic Columbus Foundation, and Ida Cason Callaway Foundation. It is such a joy to present the money to each of these entities knowing that our community benefits greatly from each organization. There are many things to love about Midtown. It is home to the Columbus Museum, it is very dog friendly, and it features stunning historical homes. SVM interviewed artist Katie Jacobson about what made her decide to move back to Columbus Midtown, how her new home reflects her art, and what are some of the spaces around the city she likes to visit. What are the most interesting new trends in your field? I don’t know if I would call it a trend, but something I’ve been noticing and also working on within myself is speaking truth. Instagram is a huge platform for us artists, and with social media I think there can be a disconnect. You know, it’s really easy to see and post beautiful photos, and there is something to be said about people who share experiences, challenges, and personal insight. It shifts looking at beautiful photos into actually having a more human-like connection. When people share more about their story, it deepens a connection to their art they are sharing. How does your home reflect your art? I love eclecticness and color. Every painting I do has a story and the same goes for everything in my house. One of my favorite past times is thrifting, especially when I travel. My furniture, décor, and the art I collect is something I like aesthetically while it also has a personal meaning and experience. Color is definitely a big element in my paintings, and if you walk around my house, you will see the same pops of color in my décor. Color is energizing and warming. The same goes for paintings. I want to create work that inspires people and makes them feel warmth. You decided to move from Taos, New Mexico to Midtown Columbus recently. What attracted you to this area? I grew up in Columbus, and no matter where I was living around the US, this has always been home. I was not sure when or if I would ever more back here, until I came home this past Christmas for an art show. 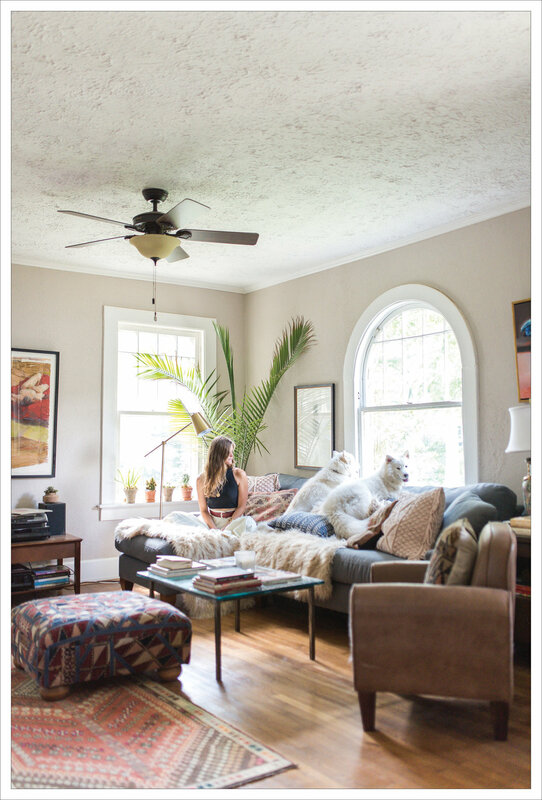 I had an overwhelming feeling of “I don’t want to leave, this is where I need and want to be.” I started manifesting this idea of moving home, and lo and behold, my favorite house in Columbus was the first house that popped up. I am a big believer in signs, and there were so many signs leading me to this house. There is a really cool energy I am feeling in Columbus, and there is a strong community. It’s really inspiring and I am really excited to be back here. 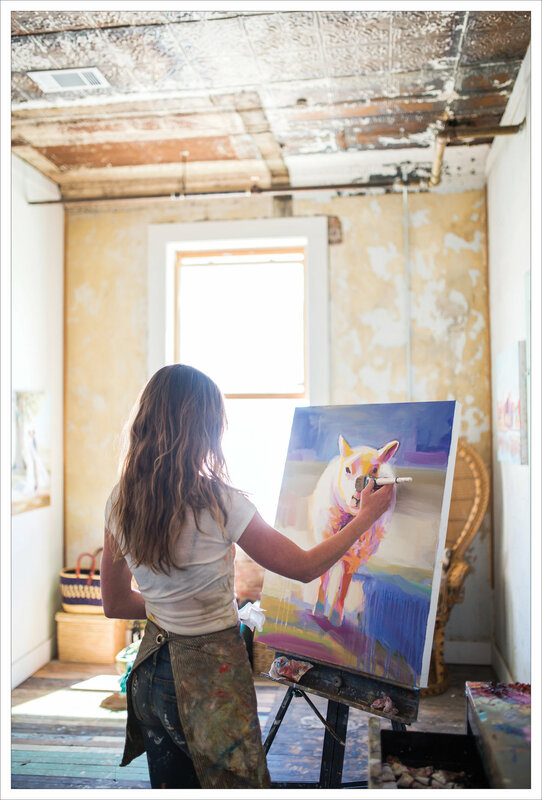 How did Brookstone School’s Art department help you develop into an artist? Hands down, the teachers were a huge influence in my art. I walked into Sally Bradley’s class my junior year, and ever since that first drawing I did in her class, I knew art was what I was going to pursue. I was not a straight A student. I struggled with math and science. Having Sally’s encouragement in my art, gave me the confidence and excitement that I needed to pursue it. When I was in college, I even brought back my first commission which was a child’s portrait to get her advice and critique. It was that mentorship and encouragement that changed everything and began the path of me becoming an artist. As an artist, what art spaces around the city do you like to visit? We are so lucky to have the Bo Bartlett Center. Every time I go there I am blown away and beyond inspired. I am so excited to attend all the events and see how it grows and impacts our community. The Columbus Museum is another great art space in Columbus. They are good about having events and giving grounding to the art community. There is a solid group of artists here in town, and one of my favorite things to do is go to art shows and open studios. Phenix City, and Fort Benning for the last 15 years. How long have you been working in the dental field? I have been a dentist for 24 years. I came to Columbus in 1990 after graduation from dental school at the University of Oklahoma College of Dentistry. 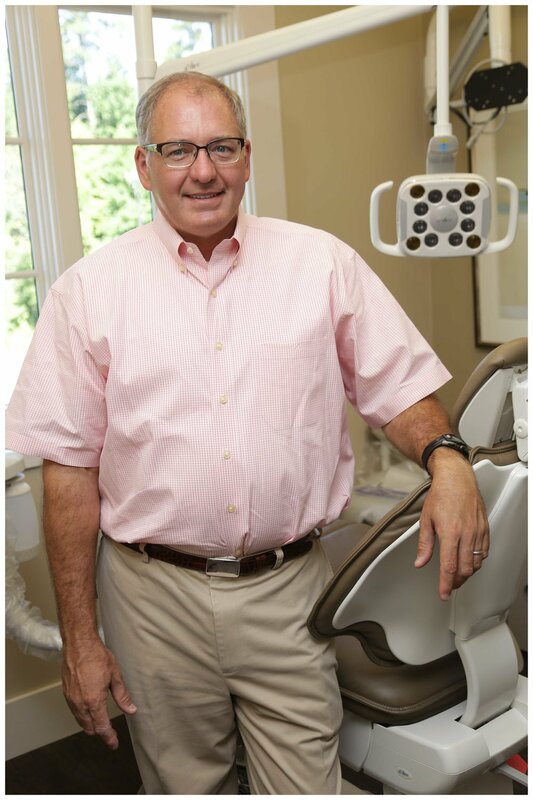 I purchased the dental practice of Dr. David Weise who practiced in Columbus for approximately 30 years. When did you first decide that you wanted to be a dentist? I decided I wanted to be a dentist in the summer following my freshman year in high school. My family had relocated that summer from one side of Oklahoma to the other. My mother was a school teacher and my father was a firefighter. watching the construction and installation of the dental equipment. I found it fascinating. I had never had a cavity and dental visits were pretty boring. some of my dental procedures. I feel that the specialists in dentistry allow me as a general dentist to provide comprehensive care. You never want to be a jack of trades and a master of none. Wish I had come up with that quote. Mollie throws clay on a wheel in her shop. Ceramic artist Mollie Jenkins reminds us that the best form of art in our daily routine can be found working with clay. She loves this art form because it is a very direct process where she works with her hands and sees and feels the shapes and forms come together in front of her. For the last several years, former Brookstone graduate Mollie Jenkins has been focused on developing a body of work that would bridge her from college to a professional path of ceramic artistry. Her formal education allowed her the opportunity to develop strong relationships with peers and professors ultimately influencing how she approached ceramics. Despite all of the support and guidance she received from her education, nothing could have prepared her for the abundance of lessons she learns on a daily basis while running a business and a studio. Tell us a bit about how you found your way towards pottery. How did you get into it, and what were your first pieces? I first took a ceramics class at Brookstone senior year of high school, and at the time, I did not think much of it other than I really enjoyed throwing on the wheel. From there, I graduated and went o to school at the College of Charleston where I postponed declaring a major for as long as possible- at the time there was no way I knew what I “wanted to be when I grew up.” During the end of my freshman year, I decided to transfer to a school with a ceram- ics department. Upon deciding on Auburn that summer, I took a class back here in Columbus for wheel throwing, and from there on out, I was certain that I wanted to pursue a degree in ceramics (and potentially a livelihood). I began making bowls and mugs to start and later went onto plates, larger serving bowls, and lamps. Where did your passion for ceramics come from? My passion stems from the functionality of the finished product mixed with the creation of each product. In the start of the process, I love that I can mold a block of clay into some- thing that later turns to stone and can be used day in and day out for years to come. What is the process for making your ceramics? All individuals have varying steps to their respective ceramics process. For my work, I start with a block of brown clay, put it on the potter’s wheel and throw it into the desired form using the force of my hands and water. For all items except for lamps, I cover them to dry for a day or two. From there, I revisit each item, wire it off of the throwing surface, and then put it back on thepotters wheel to trim the bottom. Trimming is just to clean up the bottom while creating a foot, where the vessel rests on the table. If the item requires a handle, at this stage I pull a handle from an oblong piece of clay. The handle will then dry for a few hours and be shaped again, then the handle is attached to the vessel and they slowly dry together. From here each item is red in the kiln for about a day, then the glaze color is applied, and once dried, the piece is red for the second and nal ring. How important is social media to you? Do you think it’s going to be a big part of how you sell your products? Social media, at this point in my career, is crucial. It is an irreplacible way to advertise my product and reach customers who, otherwise, I would have great di culty reaching at this stage. It also al- lows those who are interested in the process or the behind the scenes of ceramics to get to know me and what goes into my work. I think it is crucial for folks to be able to see that more goes into these products than the mass produced items they are used to. Most ceramics off the shelves are made from smooth clay or delicate porcelain. What material do you prefer to use? I love using the brown clay which most of my wares are made of. This clay has some grog (sandy material in it) which allows me to be able to shape it on the wheel as needed. This clay alsonishes to a warm tan with speckles in it, which I love. What attribute do you feel best characterizes an excellent piece of pottery?Functionality. For me pottery should be functional to the point of being able to use it everyday as well as growing to love it throughout the use of the item. Was there a point in your career that you made a decision to sell your ceramics for a living? Could you describe how you came to that decision? For me, I kind of grew into the selling of my work. In school at Auburn, I participated in a few shows where my family was nice enough to come overto purchase my work. I was so amazed after that rst show that anyone wouldwant one of my creations. Thank goodness. Now, strangers are buying my work too. What, in particular, do you want your finished projects to express? As mentioned above, everyday use. I have folks who will let me know that the mug they have of mine is their favorite and they use it everyday. For me, there is no greater compliment that someone would want to spend their day with an item I have created. What current trends are you seeing in ceramics? A lot of people working with ceramics are going for a more minimal look, as that tends to be an ongoing fad these days. This includes fewer or no handles and white everything. I prefer the speckled nature of my clay and the variation of my glazes too much to go this route anytime soon. What kind of environment do you like working in? In the studio, I have music going all day, or I like to listen to podcasts, but right now music is my go-to. If it is nice out, I will have my garage door open. I prefer a relaxed work environment so I don’t get too stressed day in and day out with all of the to- do’s of running a small business. GARRY POUND Since 1980, artist Garry Pound has been creating some of the most remarkable oil portraits in the southeast. With a heavily artistic background that spans many mediums, he is one of Columbus’ artistic gems. Columbus is lucky to have a thriving art scene. From the Springer Opera House to the Schwob School of Music at CSU, artists from every discipline can find a home surrounded by supporters, benefactors, and peers. Garry Pound is one of Columbus’ most notable artists, and some of his most recent portrait work can be seen on display now at Fountain City Coffee. 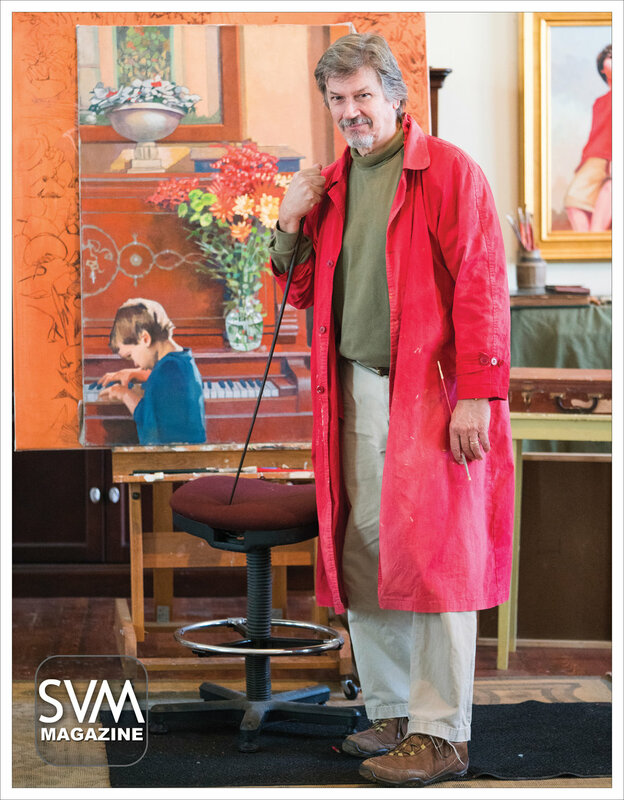 This issue, we had a chance to talk with him about his passion for creating art. What do you consider to be the biggest influences on and inspiration(s) for your artwork? The things that provide my inspiration (in no particular order) are family, community, travel, art, and artists. Without bias, I can say that Barbara Gordon Pound was my greatest inspiration. She was a world-class draftsman and painter. She had an innate sense of design and structure. Her taste was unimpeachable. I blame myself and my brothers for keeping her from reaching her full potential as an artist. Growing up, I remember her constantly drawing and writing and reading, making connections, finding relationships, striving for an awareness and appreciation of the world around her. How did you know you were meant to be an artist? I grew up in an “artistic” environment. Art supplies, painting and drawing, museum visits, visiting artists—all this was what formed the background of my childhood. It was like the air I breathed and I did not think it was anything special. I was too busy being a kid and hanging out with friends to give art much serious consideration. When the time came, I picked a small liberal arts college, Sewanee, which had a good academic reputation; I signed up for pre-med courses. Knowing I had a little talent, and almost on a whim, I also signed up for a beginning drawing class. Art was what I was going to do for the rest of my life. I dropped all my pre-med courses, took as many fine arts courses as I could, and the rest is history. What would you say is the highlight of your career—what’s been your favorite project to work on? There have been things over the years that have given me satisfaction. Working with Allen Levi and Ron Anderson on the children’s book and play Oliviatown was, quite simply, a joy. I was proud of the work exhibited in my recent show, “Happy Are the Artists”, at the Bradley Company Museum. But you know, I am fortunate in that the highlight of my career is an ongoing thing. The next successful drawing or painting will be the highlight that matters. What I love is the work, being creative, getting in the zone, creating relationships, putting marks on paper and canvas. Do you think your art would be different if you had grown up in a different city? How has Columbus influenced or shaped you as an artist? Until recently, it was almost unthinkable for a child of the Deep South to grow up and make a living as a fine artist in his own community. Emerging artists went elsewhere. They became illustrators. They took commercial jobs. They painted signs. They taught in universities. They bussed tables. They hawked their wares in art markets like New York or Paris or London. Columbus was far from those vibrant art centers. The question was, how do you make a living in your own hometown, doing what you love and are trained to do? Why do you think that art scene in Columbus is so strong these days? Columbus has a great art scene because of our creative spirit and the great and noble patrons of the arts. They donate to arts institutions, participate in cultural events, purchase artworks, create collections, and encourage artists. Our arts patrons are too many to name, but they are the usual suspects—you would recognize them. They are the same people who also had their hand in saving the Springer, building the Rivercenter, supporting and expanding the University, and so on. Our town has truly been blessed through the years with big-hearted people who take delight in and are committed to creativity, to fine arts, to education, and to a better community. How would you define success? Nowadays, I find a measure of fulfillment in just being able to pay the bills, provide a comfortable home for my family, and, of course, make my wife Mamie happy. The real secret to being an artist is that you do it every day. It is a job with its own routines. Nothing takes the place of persistence and determination. Talent and even genius will not make an artist of the guy who won’t work until struck by the lightning bolt of inspiration. Creativity is a habit and a discipline, the best creativity being the product of good work habits. Vera Stewart, of VeryVera, is a culinary crackerjack whose expertise includes an in-demand catering business, a syndicated television show (which airs on WRBL in Columbus), and a franchised children’s cooking camp. She spoke to SVM about her beginnings, her new cookbook and how to encourage the younger generation to fall in love with cooking. Vera Stewart has become recognized in the Southeast for her Southern cooking show, entrepreneurial nature, well-designed and beautifully presented catering jobs. Vera will be in Columbus on May 19th at the Galleria to present the release of The VeryVera Cookbook—Recipes from my table. The VeryVera cookbook: Recipes From My Table, will be officially released on April 17th. Tell us about this book. The cookbook has been on my mind for many, many years. 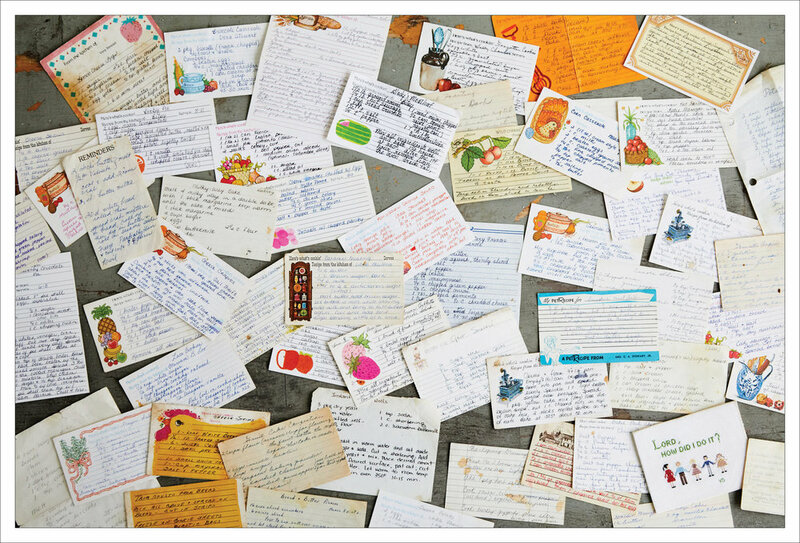 As a former Home Economics teacher, caterer and mail-order food business entrepreneur, my love for food, recipes, preparation and presentation always fascinated me. It took me this long into my career to write the book because my retail business was overwhelming. There was never any down time to get the project off the ground. Once I closed my retail operation in 2013, I started giving the book considerably more time. And, with the assistance of a great small team, we made the dream a reality. The book has 78 recipes, all of which we sold through our VeryVera brand. Most remarkable are the layer cakes that have been editorialized in some of the most prominent magazines and the familiar favorites that were enjoyed by mail-order customers from coast-to-coast. What’s your favorite go-to ingredient? One of my favorite ingredients is Heinz Chili Sauce. Whether it’s adding moisture and spice to hamburger patties, marinating a piece of salmon or concocting a great salad dressing...this stuff is magic!!! How are you getting the younger generation involved with the love of cooking? The VeryVera Cooking Camp will be 15 years old this summer. We have grown from 12 students in 2004 to 216 for the six week Augusta area camp. We completed our franchise model in early 2017 and had our first camp franchises in Aiken, SC and Columbus, GA last summer. Columbus’ camp was conducted by Melissa and Jamie Keating at the River Mill Center. This summer, camp will also be held in Macon, Charleston and Indianapolis. Our camp’s mission statement is: “To develop culinary skills, etiquette and a sense of home economics for the next generation." What kind of products do you sell via your mail order business? The mail order business closed in July 2013. Through that business, we sold all of the recipes that are part of The VeryVera Cookbook. You could plan a week’s worth of meals or an entire holiday weekend and we would ship right to your door! Now, you can enjoy those favorites by preparing the recipes from The VeryVera Cookbook. Elizabeth Martin, a Brookstone graduate, moved from Atlanta, Georgia to Manhattan in the Summer of 2013 with the hopes of starting her own lighting line. New York proved to welcome new designers with open arms. She was continually encouraged to keep moving forward and today she is the proud owner of Sullivan + Phenix. By Anna Logan. Photos by Nathan Leduc. Elizabeth Martin packed her bags and headed to New York City when she was 29. Interested in starting a new career and adventurous life in the city, Elizabeth went to work at a high-end home store in the heart of Soho. 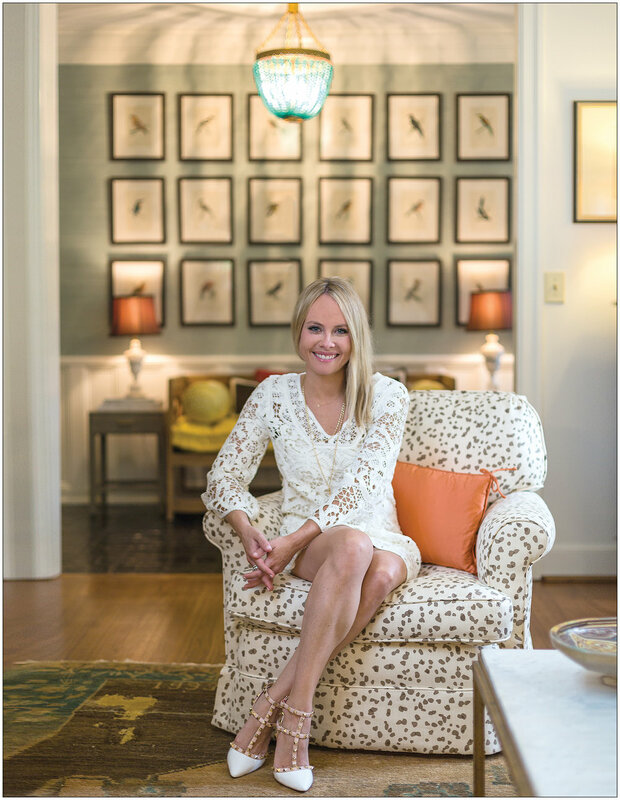 The Brookstone grad's position at Calypso St. Barth Home allowed her to explore her passion for interior design and work personally with top designers. During her time there, Elizabeth was able to work on multiple projects within New York City and out in the Hamptons. She fell in love with lighting and was determined to learn more about chandeliers. She made another career move, this time to an international lighting showroom in Upper Manhattan. She was able to work with world famous hotel chains like W Hotels and The Ritz-Carlton. Yet, she still was not satisfied. Admittedly stubborn, Elizabeth didn't like the idea of working for anyone else. So, she struck out on her own and started her line of handmade, high-end chandeliers, Sullivan + Phenix. Elizabeth spoke to SVM about creating her own line, her inspirations and even offers some tips on how to decorate your home. Even though you offered interior design assistance to clients at a high-end home store in downtown New York City, you transitioned into designing chandeliers. Why did you focus on them over anything else? Moving to New York was a bold move for me. I was 29, and indecisive about what direction I wanted to go career wise. The most exciting part of it all for me was that the world was my oyster. In New York, everything is about who you know when it comes to getting a job. Somehow, with the help of some friends, I landed interviews with a few of the top companies in New York City. As much as I tried to get excited about a position in the ritzy Upper East Side of Manhattan, at the end of the day it wasn’t my passion. Still searching for the niche that fit me best, I decided to take a job in Soho at a fabulous high-end home store there. I fell in love with all of the beautiful chandeliers that we had hanging in the store. I started to brainstorm and realized that handmade chandeliers were somewhat of an untapped market. I have always wanted to work for myself, so it was there that my idea was born and I became determined to make my dream a reality. How have you liked transitioning from working for other people in other jobs to creating your own line? Most everyone with a brain that is creative would tell you that we think and operate differently than most people. Truthfully, I can be a little stubborn and I have never really liked anyone to telling me what to do. Obviously this doesn’t work very well in the workplace; so being fortunate enough to work for myself was like a weight being lifted off of my shoulders. I am constantly coming up with ideas and dreaming of new designs for my chandeliers. I definitely have found my passion, and I think a creative outlet in life is one of the best things you can have in my opinion. Sullivan + Phenix is such an interesting name, how did you come up with it? I really thought long and hard about what I wanted to name my company. I started making chandeliers in my Soho apartment in New York on Sullivan St, which is where the first part of the name comes from. Moving back home to Georgia after my time there was mostly to continue to pursue and grow my business. When I first moved back, I was making my chandeliers out of my apartment at the Eagle & Phenix Mills in Columbus. So the name is a combination of the start of my company in New York, and then the continuation of it when I moved. What style would you say your chandelier line represents? I would say the line represents a traditional style with a touch of glam. I definitely have a girly side, so I think the pieces are very feminine as well. I have always loved gold, and I think that aspect also adds elegance to spaces where the chandeliers are hung. I like the idea of a timeless look, where clients will always love their pieces and they won’t become a fad that eventually goes out of style. Who do you consider your greatest creative influences? I love designers who aren’t afraid to take risks. My favorite thing when I go into someone’s home are those “wow” pieces that almost make you gasp at how fabulous they are. This could be anything from a unique piece of art, to a pop of color in an unexpected place. I also love mixing different textures in a room. That said, I would have to say that Kelly Wearstler is definitely one of my greatest creative influences. Another would be my sister, Lulie Wallace! I cannot say enough about how much I admire her, and her work, and how far she has come in her career. She is definitely an inspiration to me, and I can only hope that one day I will flourish as much as she has over the years. like a piece of jewelry that is hanging in your home. Your travels have taken you all over the world. Do you recommend any one destination over the others as a great place to buy home goods? I think that choosing a place to travel is specific to what exactly you are looking for. If you are more into traditional pieces, the flea market in Paris is a mecca of amazing antiques and all kinds of accessories for your home. This is on my bucket list for sure to spend as much time as possible scouring the market for one of a kind treasures. Two of my most recent trips were beyond amazing. The first one being to Morocco. I can’t even put into words the sensory overload that you experience in this North African country. I was beyond excited at the opportunity to get to explore everything that this place had to offer. The rugs there were unreal. I didn’t consider myself much of a rug person until I was able to flip through all of the handmade ones in the medina in Fez. Plus, the rugs are much less expensive than they are in the US. I have to admit, I smuggled 5 back home with me that were stuffed in a suitcase. Last month, I traveled to Tulum, Mexico. This is an up and coming travel destination for young folks. Again, I was in awe at the market there, drooling mainly over the embroidered pillows, and the hand woven blankets. The next places on my list to travel would be India and Thailand. Finally, which Sullivan + Phenix chandelier do you consider a must buy? I am a little biased because I am the designer, and I want my clients to love them all! The most popular pieces so far are the Laney, and the Riley chandeliers. Please stay tuned because there are some new pieces I am designing at the moment and more fun colors and shapes to come! All Rights Reserved. Copyright of SVM. Columbus native and former Brookstone graduate, Jim Whitehurst, is the Chief Executive Officer and President of Red Hat, Inc. the world’s first billion dollar open source software company. Jim Whitehurst, the President and CEO of Red Hat has had an interesting career to date. He was a consultant for a number of years, joined Delta Air Lines right around September 11, 2001, and played a big role in securing the future of that company as its Chief Operating Officer, and now is the President and CEO of Red Hat (NYSE: RHT), the world’s first billion dollar open source company. You graduated from Brookstone in 1985. When did you first think, “I want to be an entrepreneur?” I started playing with computers early on. I got my first one, a KayPro II, when I was a sophomore in high school. I thought I would go to college, get a degree in computer science, and then start a business. In the end, I took a more traditional career track working first for a management consulting company, and then a major airline. I joined Red Hat about eight years ago. It’s a bit eerie that back in high school I aspired to run a cool software company someday. And now, after being well laid in traditional businesses for almost 20 years, here I am. You’re a practitioner of “Open Organization”, and you actually wrote a book about it. Why is this concept so important to you? I think I’m so passionate about this way of running a business because I’m truly a convert. Before I joined Red Hat, I had the opportunity to attend a prestigious business school, work at a top-tier consulting firm, and lead a large, well-know public company. I thought I knew how to lead and manage. Then I came to Red Hat and learned that there is a better way – at least if you want to have an engaged, inspired workforce capable of true innovation. You were one of the youngest COOs at Delta Air Lines, how was that experience for you? Looking back on it, I’m amazed they let me do it. I was 35 years old and the company was heading toward bankruptcy. However, working through that crisis has proven to be one of the most rewarding professional experiences I’ve ever had. I had the opportunity to learn what it takes to be a leader, to really guide and influence a company in a difficult time. But more than that, to watch people ban together during such a trying time to save an important institution in the South, to be a part of that, was something I’ll never forget. We refused to let Delta fail on our watch. Even today, I’m so proud of how all of us handled that situation. It really showed me what’s possible when people rally behind a common purpose and goal. You are currently the President and CEO of Red Hat, the world’s first billion-dollar open source company. How did you start up the company, and who are some of the companies who use your product? Bob Young and Marc Ewing originally founded Red Hat in 1993. When I joined in 2008, annual revenue was around $400 million. And if all goes according to plan, we will surpass the two billion dollar mark next year. Not everyone has heard of Red Hat, but you’re most likely using our technology every day. Our products power airline systems, banking networks, and underlie the majority of stock market equity trades. We count more than 90 percent of the Fortune 500 as customers as well as influential organizations such as Dream- Works, Sprint, and the New York Stock Exchange. We’re apart of the S&P 500, have close to 8,000 associates world, and were named one of the most innovative companies in the world by Forbes in 2015. You have given many talks, including a TED talk, about the tech future and economic side. How important is this issue for those working in building new technology or investing? It’s hard to predict exactly how technology will impact business and society. But those that figure it out have an opportunity to build extraordinary businesses. For me, I already lead an extraordinary business. I am interested in this issue because I think technology has the potential to make the world a much better place. But that requires that leaders in many areas like business, government, and academia to carefully consider its impacts and steward their own organizations appropriately. My interest is more about making the world a better place for my kids and those who come after us. It’s a great privilege to be in a position to have at least a tiny bit of influence over that. Is America still the land of opportunity? Absolutely. I have an opportunity to travel around the world every year. And while many other countries are building their own economic structures that create opportunities, I still believe the combination of the best legal system in the world, the strongest capital markets, fantastic universities, and a culture that tolerates – and even celebrates – risk-taking still makes America the best place for anyone to get ahead. That said, I do worry that too much money in politics, a tax system full of loopholes, and poor performing CEOs getting paid millions makes many people think the system is “rigged.” In some ways it is. That’s a major issue we need to address. All Rights Reserved. Copyright SVM.